The presented room availability, rates and discounts are actual and final for all our 340 hotels in Zermatt. 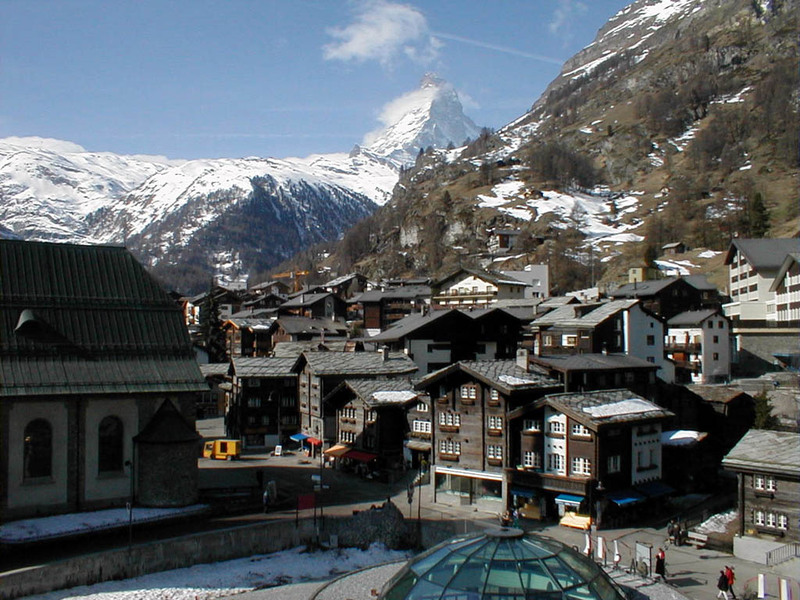 Zermatt is one of popular tourist resorts situated in southern Switzerland. 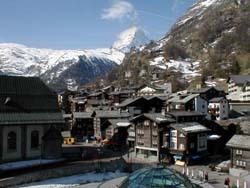 The mountain village of Zermatt is one of the greatest ski and climbing centers of the world. Nestled in a deep valley enclosed between steeply scarped mountains, it is dominated by the huge and gracefully curved pyramid of the Matterhorn.